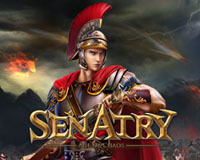 Senatry is a free to play 2D browser strategy game with with RPG elementsset in ancient Rome. 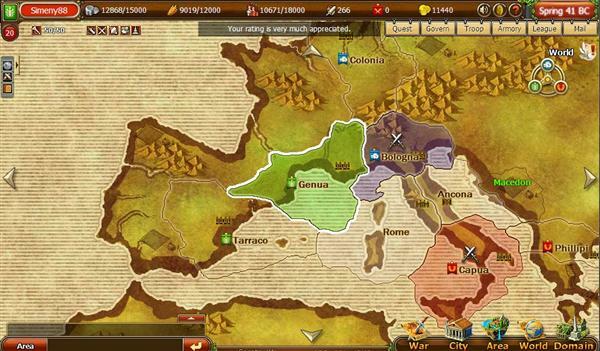 As a strategy game, Senatry deals much with resources and battles, so newcomers should know the difference between renewable resources and fixed resources. When you’ve learned the rules and ways, you will have a fantastic journey through the game. 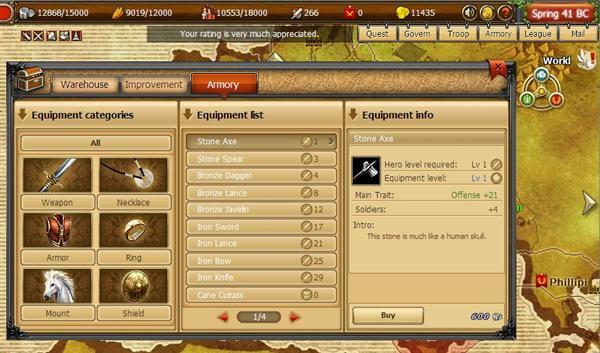 Craft your weapons, train your characters and join a guild. In 100 BC, an odd ship carrying a group of refugees landed Ancona, the Roman Republic. These refugees were sheltered by the local fishermen. These knowledgeable immigrants soon won the trust of the local people. Proposed by the immigrants, the Ancona Parliament was founded. In the same year, Gaius Julius Caesar was born in Rome. In 90 BC, supported by the Senatus in Rome, the Ancona Parliament set up the Senatry School which recruited students from both patricians and plebeians. In decades afterwards, many talented people from the Senatry School entered Rome and played active roles in the military and cultural circles of the Republic. The Republic expanded quickly and grew into the most powerful nation in the world. However, break up always starts from within. 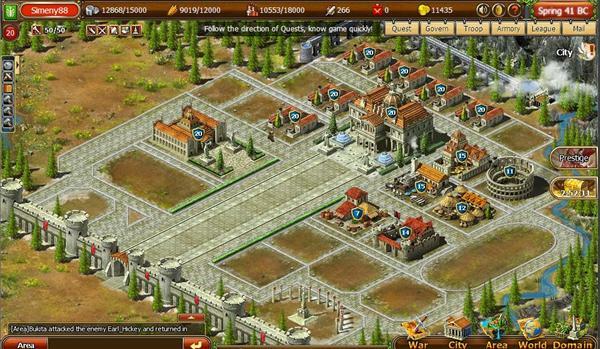 The conflict between patricians and plebeians became ever more violent and rebellions burst out in many provinces. In 50 BC, the conspiracy of the Senators to murder Caesar was smashed by Piero, head of his Praetorian Guards. Piero himself actually came from Ancona! This incident resulted in the collapse of the Triumvirate formed by Julius, Brutus and Scipio. After a series of conspiracies and chaos, the civil war began. You are a farmer who has just graduated from the Senatry School. With your attendants and financial aid from the School, you are taking your first step into a world of chaos. 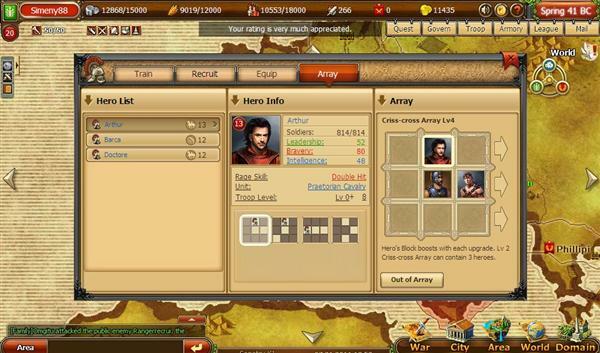 Related Tags: LeKool, War strategy.